The experts at American Garage Door are dedicated to providing the highest quality garage door service and repair in the metro area. Our formula is simple: provide the highest level of service and top quality parts, at prices we know you can’t beat. garage door opener can wear out. We offer same-day service on repairs and spring replacement. Our courteous staff will help you make the right choices for your needs and your budget. We carry two lines of high-quality garage door openers, Genie and Lift Master. For your convenience, we offer 24-hour emergency service upon request. What sets us apart from our competition is our extreme attention to detail. 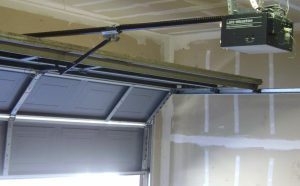 A garage door opener problem can be frustrating. Call us today when you need installation, service or repair.